Searching for the best plastic surgeon in the perfect location can be a daunting and time-consuming task. Once you have found “the one,” it can be tough to find the time, or the funds, to travel to the office for a consultation. With our virtual consultation page, you can stay in the comfort of your own home—even if it’s halfway across the country. This time-saving feature gives you the opportunity to fill out the form, submit your photos, and ask any questions you may have to get you one step closer to your rejuvenation journey. How were you referred to Premiere Center? 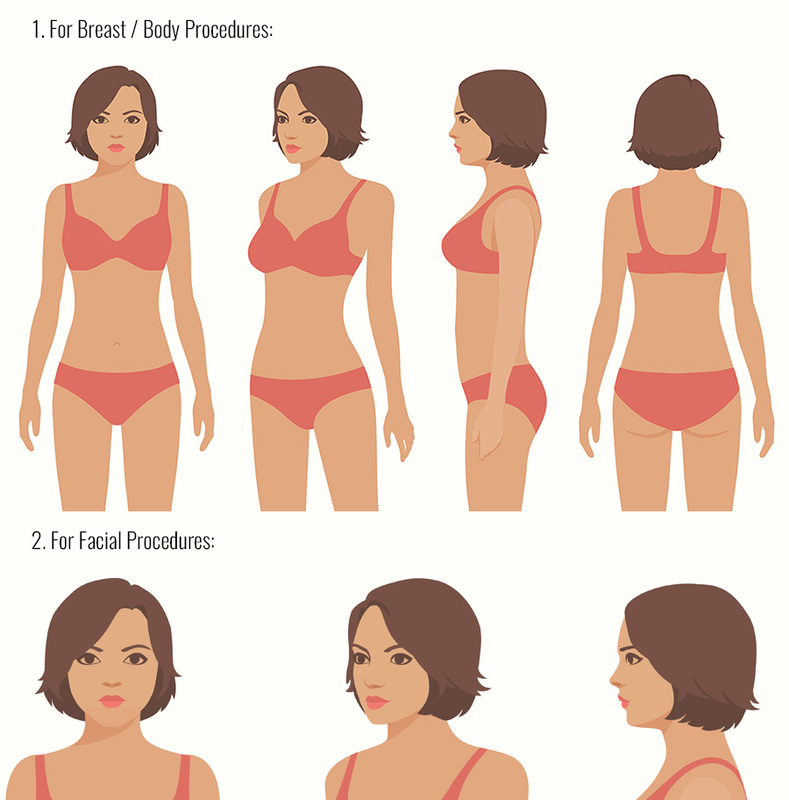 Have you had Cosmetic Surgery before? Have you had surgery of any kind under general anesthesia? Are you currently taking any medications? Please tell us more about the areas of concern and what do you hope to accomplish with this procedure? How important is this surgery to you? What would influence your decision to have this surgery? PREMIERE Center offers a complimentary consultation with a board certified plastic surgeon, a $500 value!